Welcome to our Schools Swap Shop for surplus workshop equipment! 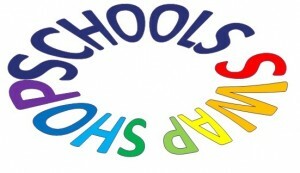 Schools Swap Shop is a free platform for schools, colleges and universities to advertise any surplus workshop equipment they have been unable to sell commercially or would rather sell, swap or give away to another educational establishment. Send us a brief description and up to 3 good quality photos of the equipment you want to advertise. Include make, model, age, condition, 1 or 3 phase for electrical items, main technical specifications and details of any additional extras or accessories. Do not include any prices – you negotiate this with any enquirer. If you are looking to swap or part-exchange your items for others, tell us what you are looking for and we will include details in the posting. Provide your name, position, name of educational establishment, contact telephone number and your school / college e-mail address (not private e-mail). We will post the details on this page (anonymously) and field any enquiries. We will forward any enquiries to you so that you can decide if you want to make contact with the enquirer to progress anything further. Note: Please let us know if you manage to move on your equipment so that we can remove it from this page. This will help us to avoid sending you unnecessary enquiries and disappointing any potential buyers. We will automatically remove adverts after 90 days unless you notify us that the equipment is still available. Contact us using our contact form stating the item number(s) and title(s) of the item(s) you are interested in. Include your name, position, name of educational establishment, contact telephone number and your school / college e-mail address (not private e-mail). We will forward your enquiry and contact details to the ‘seller’ to get in touch with you if they wish to. We currently have no items to list – please check back for updates. This page is a free conduit, provided in good faith, for educational establishments to make contact with potential buyers in other educational establishments – it is not for private or commercial sellers or buyers. Descriptions and photos are as supplied by advertisers. IPM Workshop Services Ltd cannot be held responsible for their accuracy or whether they are a true representation of the item(s). IPM Workshop Services Ltd cannot vouch for the availability, condition or health and safety compliance of any equipment advertised.We strongly advise you view items before purchase and obtain professional advice about health and safety compliance before putting any equipment into use in an educational workshop. IPM Workshop Services Ltd will not get involved in any negotiations, purchasing or disputes between parties. IPM Workshop Services Ltd will check, as far as practicably possible, that posts and enquiries are legitimately from education-based sources before adding them to our website or forwarding them on. This may involve contacting the educational establishment to verify identity. However, we cannot be held liable if an enquirer proves later to be found to be from a commercial organisation or is a private seller or buyer. IPM Workshop Services Ltd will not pass enquirers’ details onto anyone other than the seller(s) of the items they are interested in. Nor will we keep details for marketing or any other purposes.